Northern Ireland steel fabricators PS Engineering can make steel gates to measure. 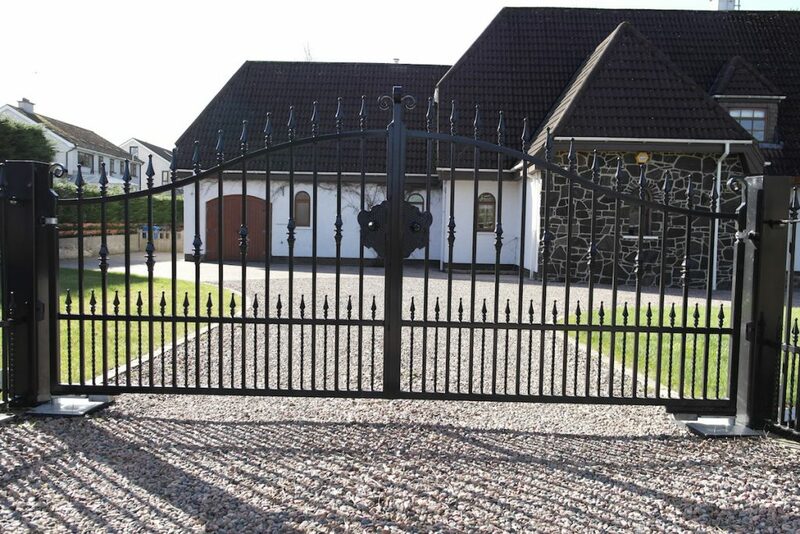 Every project in Northern Ireland is unique and here at PS Engineering we will measure up, design and fabricate your gates to your exact specification and design. Steel gates can be automated and they will add value and security to your premises. Our steel gates are beautifully designed, and we can incorporate intricate details, and handles as per your specification. Your gates will be aesthetically pleasing and provide you peace of mind that your home is secure and safe. At PS Engineering, we are able to manufacture a wide range of products, with a huge selection of options for you to choose from, ranging from remote controlled gates to integrated camera monitoring systems, giving you full control over your property. 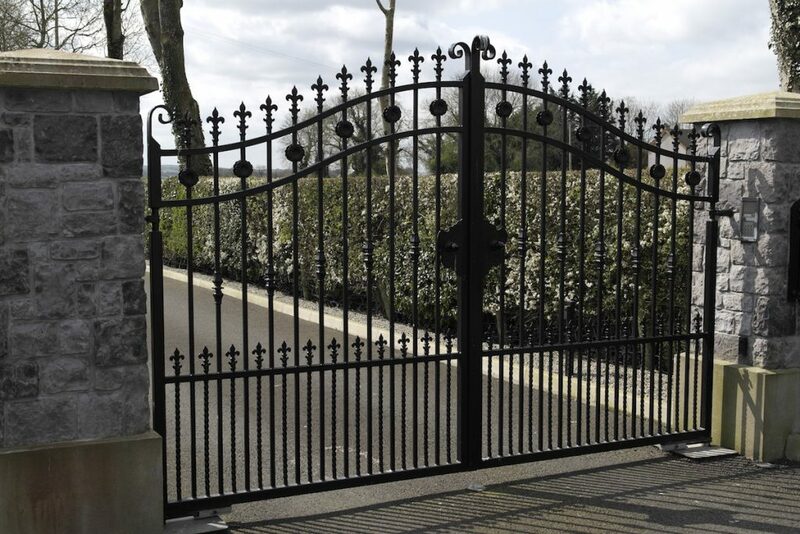 Give us a call to discuss your perfect gate, designed specifically for you. 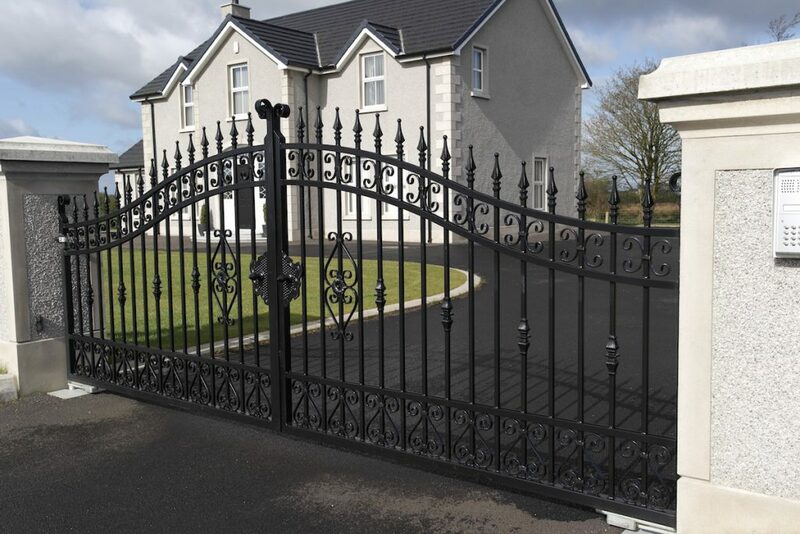 PS Engineering work throughout Northern Ireland and offer everything including steel gates and automated systems. 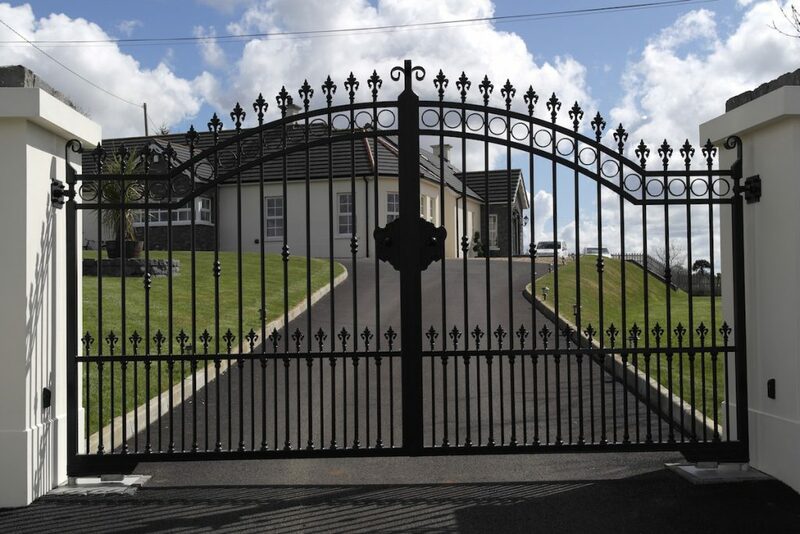 Northern Ireland based PS Engineering specialise in Handcrafted Electric Gates. The top class team will design, manufacture and install exactly what you want giving you a unique, handcrafted product which will stand the test of time. Electric Gates keep your property secure, are convenient and beautiful. PS Engineering are based in Ballymoney but work throughout Northern Ireland. We specialise in the manufacture and installation of Electronic Gates, Railings, Handrails and Staircases. PS Engineering have over 14 years’ experience in quality metalwork. We use the latest technologies ensuring that our dedicated team deliver a product which is well designed and of the highest standard. When you come to PS Engineering for your bespoke electric gates you can have confidence that you are working with a team who have experience in bespoke handcrafted design and that we will be able to produce the one off design which you need to fulfil your project. All of our steelwork can be galvanised and powder coated to provide a long lasting coloured finish to suit your needs. 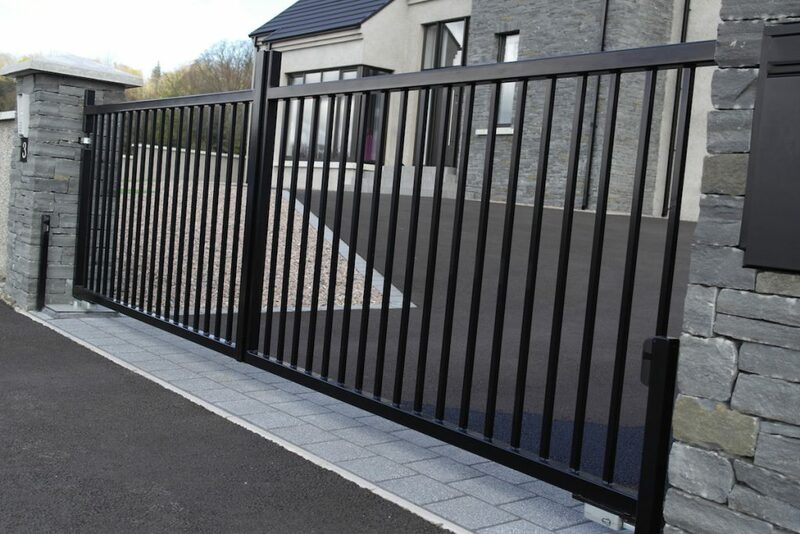 PS Engineering in Ballymoney, Northern Ireland install Electric Gates and Railings to new properties and for retrofit. Pictured above are Electric double gates created by PS Engineering. Our electric double gates are bespoke and created to order. They have an amazing high quality finish which has been powder coated to give it a durable attractive finish. With powder coating there is a wide range of colours to choose from. Railings to complement your electric gates add to the ‘wow’ factor – we always custom-design our products to meet the customer’s needs, and to complement their home and garden. 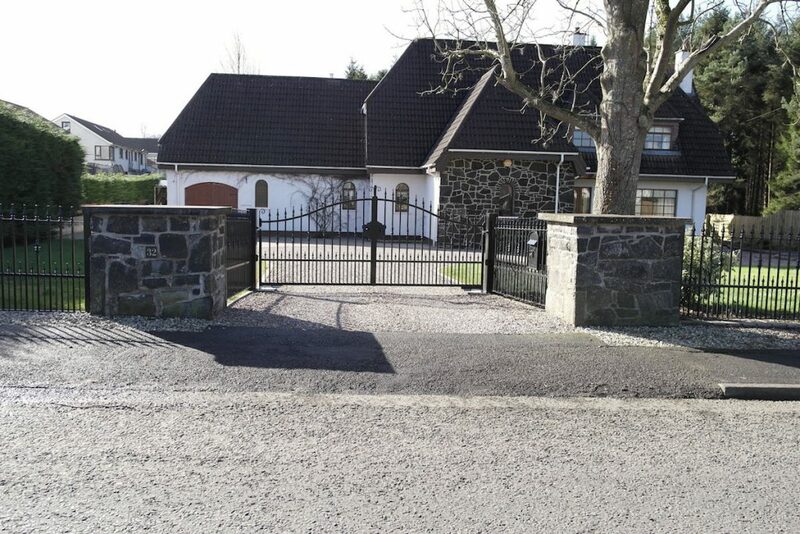 In this job, the client wanted us to create some off-road space, to allow the car to pull in while waiting on the gates opening – our client is delighted with the seamless way that the railings and gates flow to allow this to happen. We are elated at how satisfied the client is with the gates and railings we designed and manufactured; comments have been very positive, as the client was “thrilled” with the finished product and would “highly recommend us”. If you would like to talk to us about fitting bespoke electric gates to your home or property please do not hesitate to get in touch with us here at PS Engineering on 02820 741 780 or on 07739715754 and we can have a chat about your needs. PS Engineering are happy to work throughout Northern Ireland. PS Engineering supply Electric Gates throughout Northern Ireland. Electric Gates will enhance the security of your home, giving you peace of mind and helping you and your family to feel safe. Electric Gates from PS Engineering are designed just for you. Our bespoke design service means that you will be able to install gates that complement your home and garden. They are unique and functional. Electric Gates are designed to your exact needs and desires. 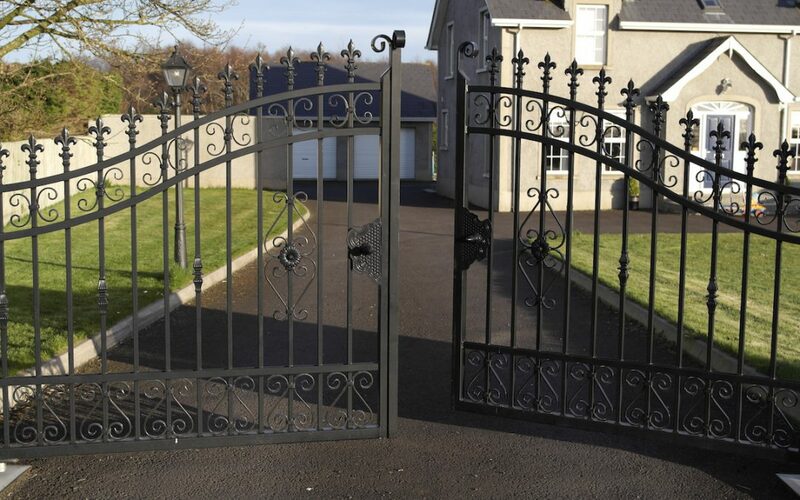 Don’t just listen to us – here are some comments from PS Engineering clients who have had electric gates installed on their property. We love designing, manufacturing and installing electric gates and never tire of seeing our clients reaction when they open their electric gates for the first time. 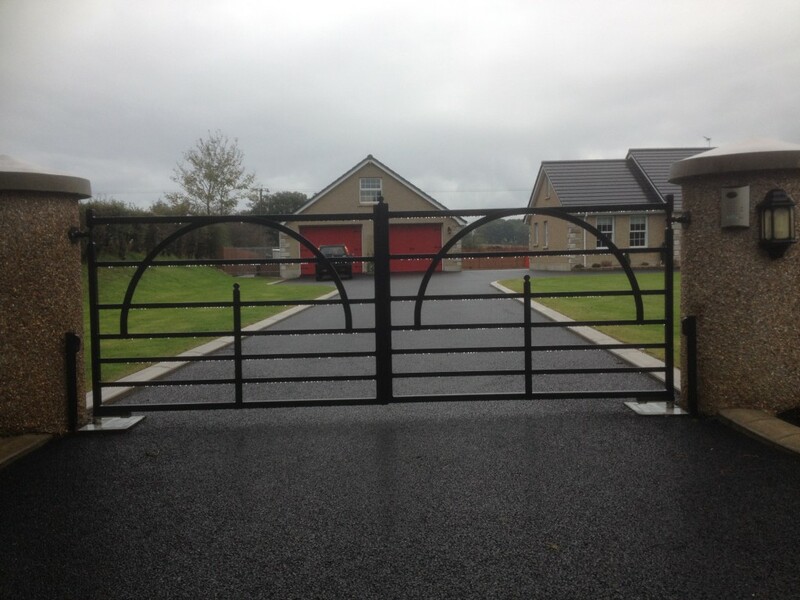 Electric gates certainly have the wow factor. 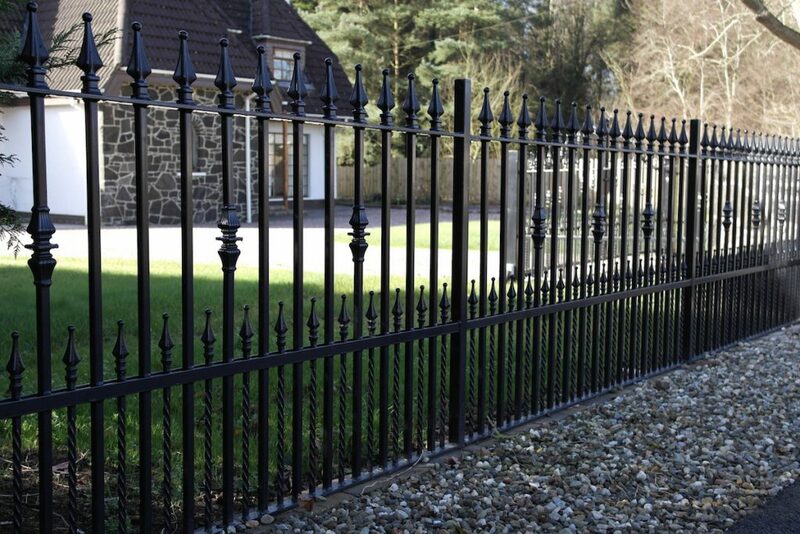 They are convenient, beautiful and most importantly they add an extra element of safety to your property. Please call PS Engineering to talk to us about installing Electric Gates at your home. We work throughout Northern Ireland. Northern Ireland based PS Engineering designed and fitted this Stainless Steel Single Spine Staircase. PS Engineering prepared this floating staircase for a new dwelling which was built in Ballymoney, Northern Ireland. The clients wanted a modern, unique staircase which would be a focal point for the whole house. PS Engineering took measurements and met with the clients to provide a bespoke design for their new home. PS Engineering designed the bespoke steel staircase to meet all relevant Building Control standards. This uniquely designed and manufactured Stainless Steel Single Spine Staircase was completed with a beautiful oak handrail and treads. PS Engineering were also able to provide safety glass for this project. It was a challenge to create such a unique stainless steel staircase, given the precision required. At PS Engineering we love to meet clients and discuss their bespoke project. This staircase is a focal feature and a talking point in this beautiful house. Adding a uniquely designed staircase to this new homes sets it apart from others and adds a real feeling of luxury and grandeur. Northern Ireland steel fabricators PS Engineering can make steel staircases to measure. 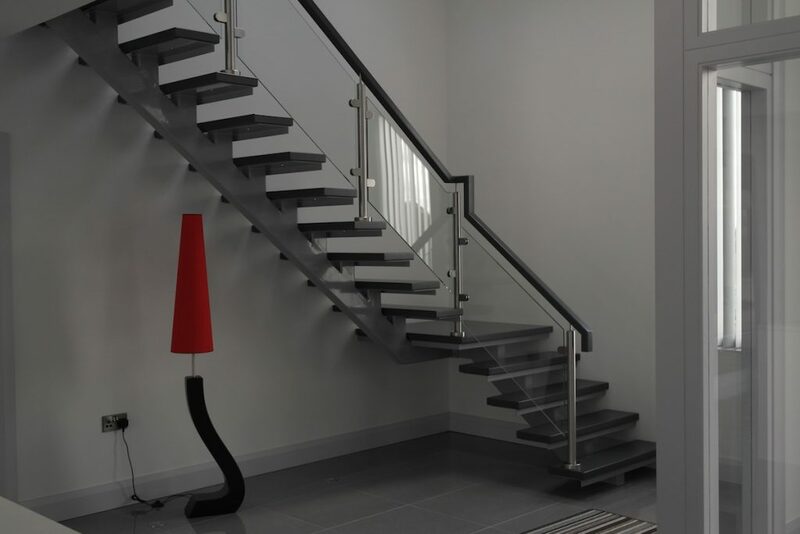 Every project in Northern Ireland is unique and here at PS Engineering we will measure up, design and fabricate your staircase to your exact specification and design. This was a brilliant project to work on and it is great that it looks so well. Our client is extremely pleased with the outcome and the service we provided. PS Engineering are based in Northern Ireland and provide stainless steel design and manufacture throughout the UK. If you have a bespoke project which you would like to speak to PS Engineering about please call 07739 715 754 for a chat.